Don’t miss the 2017 National Sports Collectors Convention. Just don’t. If you enjoy sports at all, you have to get there. Those who have been to the show before make it an annual event as there is just so much to see and do. This year the show is heading to Rosemont, Illinois from July 26-30, 2017. If you’ve never been, just take a look at this recap from the 2016 show to see what you are missing out on! It’s fun to see fans opening packs, boxes and cases of new Upper Deck products during the show. Why are folks opening so much Upper Deck? To get the special items available through Upper Deck’s exclusive wrapper redemption packs produced just for this show. 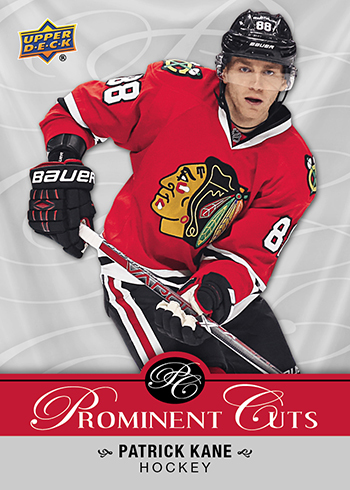 Fans can find both Prominent Cuts cards which feature a variety of personalities from various sports and NHL® Top Shelf Rookie cards of the prospects this season in Upper Deck wrapper redemption packs. Randomly inserted into these packs are incredibly limited autograph cards as well as one-of-one cut autograph cards from Chicago legends! Fans can put the 20-card base set together just by cracking these packs, you would not need to attend each day of the show to put an entire set together. Five (5) packs of 2016-17 NHL® Upper Deck ICE or 2016-17 NHL® SP Authentic. 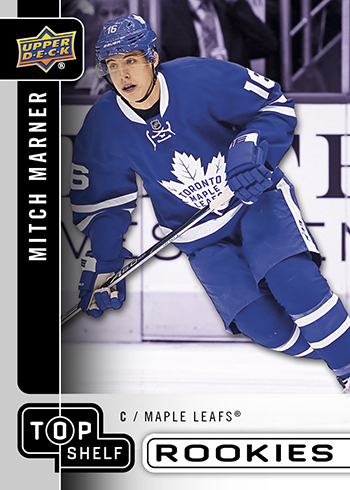 To receive three (3) 2017 Upper Deck Wrapper Redemption packs collectors just need to purchase one pack of 2016-17 NHL® Ultimate Collection or 2015-16 NHL® Ultimate Collection. These packs must be purchased from a Certified Diamond Dealer who will provide collectors with an Upper Deck issued voucher for the redemption program. The program will begin at the start of the show each day and run as long as supplies last. Collectors can take advantage of the promotion up to four times per person, per day. 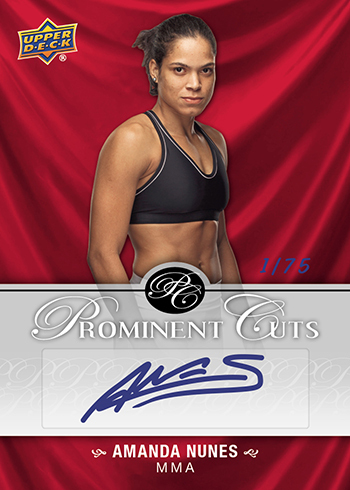 (1) Case Breaker raffle ticket good for a random memorabilia item, premium hobby pack/box, premium trading card or Prominent Cuts VIP Autograph card. The item selected will be immediately available to the participant. *Note: This promotion is only available to the first collectors who choose to take advantage of it. 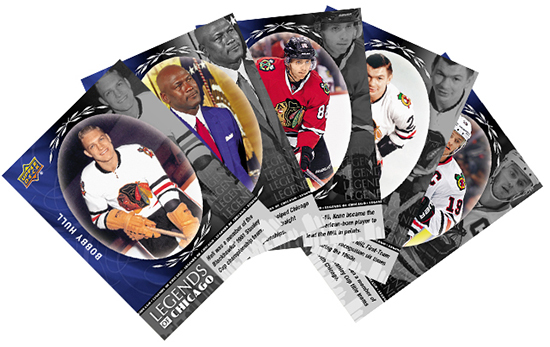 Collectors who purchase any five (5) hobby packs of 2015-16 NHL® Upper Deck product during the course of the show can score a limited-edition Chicago Legends card. Chase rookies like Connor McDavid, Dylan Larkin, Artemi Panarin, Jack Eichel and more with 2015-16 NHL® Upper Deck releases! 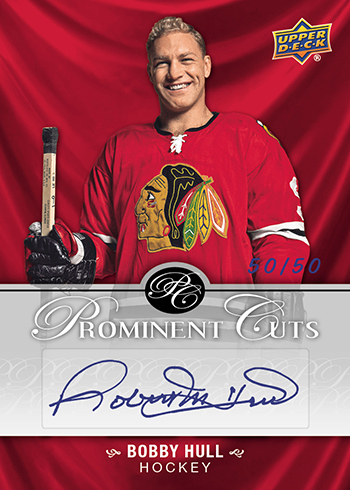 Upper Deck selected some of the best names in the Windy City to be a part of this promotion with Bobby Hull, Jonathan Toews, MJ, Patrick Kane and Stan Mikita being a part of this promotion! Collectors can now enjoy taking advantage of the redemption programs in the Upper Deck Breaker Lounge! Sit in comfort and enjoy checking out other collector’s breaks together in the Upper Deck Breaker Lounge. 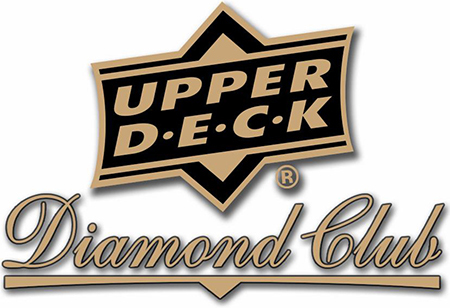 You can grab your packs, boxes and cases directly from Upper Deck Certified Diamond Dealers (CDD’s) in attendance that will have large yellow balloons flying above their booths. 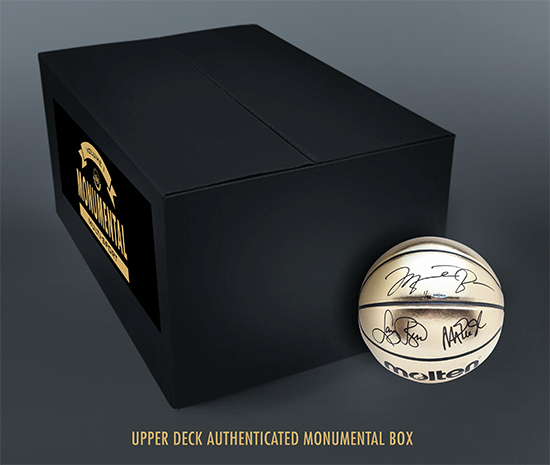 For the serious collectors, Upper Deck Authenticated has created a blind box memorabilia offering called Monumental. In each 34”x23.5”x15” box collectors will score five (5) signed Upper Deck Authenticated memorabilia items. Boxes will come with handles for easy carrying. There will only be 100 of these boxes available for the price of $1000 per box. This is the ultimate sampler for authentic memorabilia and it is designed to give sports fans a great selection of UDA’s premium collectibles. 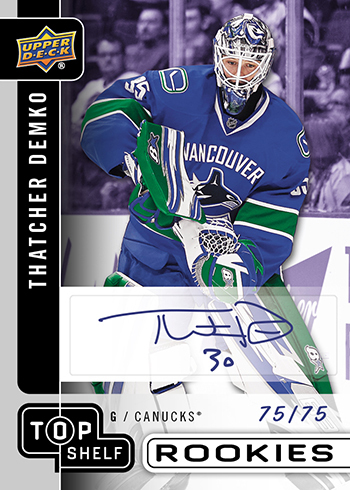 All of Upper Deck’s spokesmen will have content in the product and there will be some special spokesmen boxes that contain ALL signed items from that particular athlete! 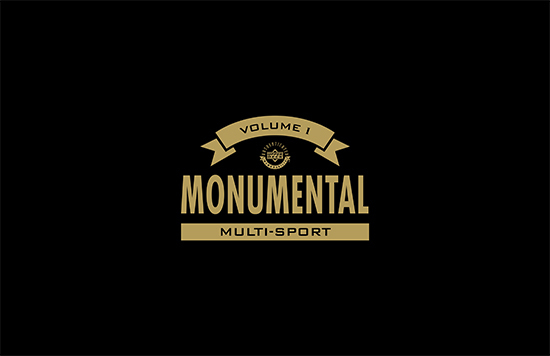 Monumental boxes will be limited for sale one per person, per day. Additionally, Upper Deck will allocate a certain amount for sale each day beginning on Wednesday and going through Sunday. Boxes will be available for sale right when the show starts each day. Once boxes are sold out each day, they are no longer available to be ordered until the start of the next show date. For the customers who support these dealers the most with regard to Upper Deck purchases or who make qualifying purchases through Upper Deck Authenticated for signed memorabilia or Monumental boxes, they can earn their way into Upper Deck’s super exclusive Diamond Club Member & Candidate Reception on Friday night. Make sure to inquire with these dealers about that promotion. Fans can score some incredible prizes and enjoy a memorable night. Those who have attended previous events can attest to how special this event is every year! 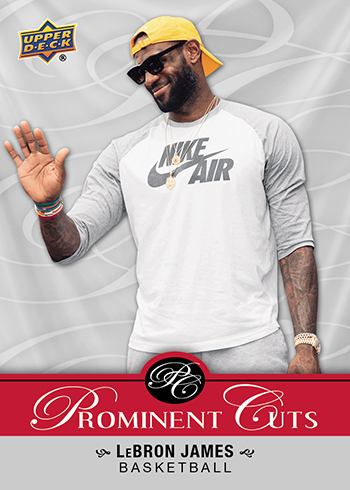 Those who purchase VIP passes to the 2017 National Sports Collectors Convention (available here) can score a special 5-card VIP Prominent Cuts set from Upper Deck! You don’t need to break the bank to have fun with Upper Deck at the National however. The company will have a variety of cool activations throughout the show to give back to collectors and show some hobby love that are available for FREE! Friday Upper Deck will run the company’s Random Acts of Kindness Scavenger Hunt with 25 prize envelopes hidden throughout the hall. Fans can score Upper Deck Authenticated signed memorabilia items, boxes and insert cards for finding these envelopes, but remember, you can only find one per person. 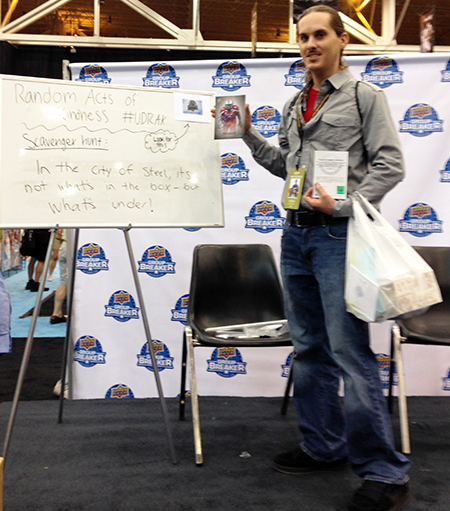 Clues will be provided throughout the day as to the whereabouts of these items. Find a UDRAK envelope and score a FREE prize! 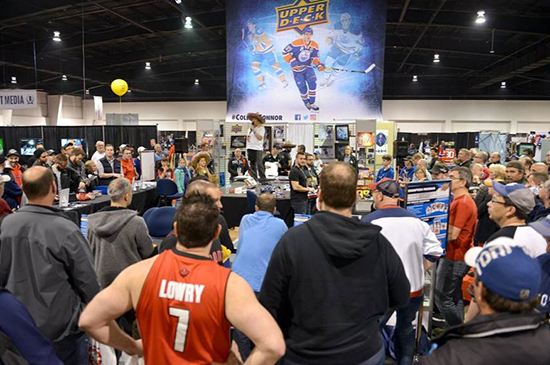 Saturday at 3:00 make your way to the Mike Berkus Main Stage where Upper Deck will co-host with GTS Distribution a collation game in a bracket-style format. 16 competitors will face off to put sets together in numerical order as quickly as possible. There will be prizes distributed throughout the game, but the grand prize winner will score a Wayne Gretzky Upper Deck Authenticated signed poster. Look for other fun surprises announced soon and at the show! Follow the National on Twitter and Facebook as well. Make sure to use the #NSCC17 and #NSCC hashtags as well! Tickets to the 2017 National Sports Collectors Convention are available now at www.nsccshow.com! Wow Chris! I am so jealous as I got to experience the best hobby show in the world last year in A.C. Upper Deck was giving kids so many packs it was crazy and now this year the Monumental Box sounds unreal! I wish I could attend the Friday Night Event as I can only imagine how amazing that will be! Can it top playing arcade hoops with Ben Simmons? Anyway great article and I hope you have a great time! The truth is that I participated in the event and I really liked the promotional products of basketball.